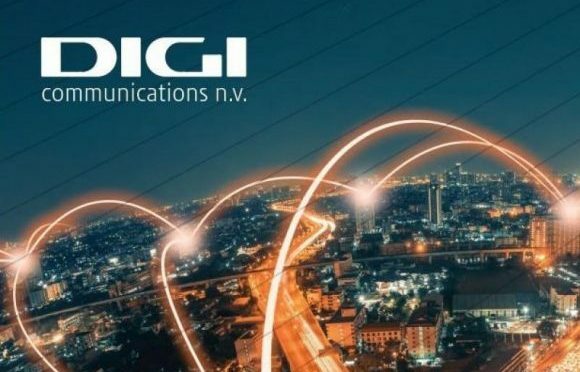 Digi Communications NV approved the implementation of stock option plan to the benefit of the officers and employees of Digi Spain S.L.U. 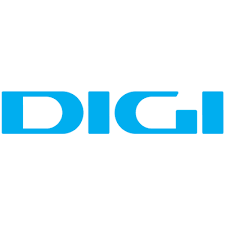 BUCHAREST, Romania, May-28-2018 — /EPR Financial News/ — Digi Communications NV (The Company) would like to inform the market and its investors that it approved the implementation of a stock option plan to the benefit of the officers and employees of Digi Spain S.L.U., the Company’s subsidiary in Spain. The maximum number of options of class B shares allocated to this plan amounts to 35,000. The grant of the stock options under this plan will be determined based on performance criteria and the vesting will be conditional upon the passage of a minimum duration of 1 year. Also, in addition to the stock option plan for the Romanian officers and employees with respect to which the Company informed the market and its investors in December 2017, the Company also granted on 24 May 2017 conditional stock options to a limited number of Romanian directors and employees. The number of options of class B shares granted to such directors and employees amounts to a total of 250,000 stock options. The further vesting of all option shares granted will be conditional upon several performance criteria and the passage of a minimum duration of 1 year. BUCHAREST, Romania, 20-May-2018 — /EPR Financial News/ — The Company would like to inform the market and its investors that, on 18 May 2018, Mr. Serghei Bulgac (Chief Executive Officer and Executive Director of the Company), Mr. Valentin Popoviciu (Executive Director of the Company), Mr. Marius Vărzaru (Non-executive Director) and Mr. Bogdan Ciobotaru (Non-executive Director) have been granted by the Company conditional stock options pursuant to the decision of the Company’s general meeting of shareholders dated 2 May 2018. The number of options of class B shares granted as part of this stock option plan (applicable for the years 2018 and 2019) amounts to a total of 686,090 stock options. The further vesting of all option shares granted will be conditional upon several performance criteria and the passage of a minimum duration of 1 year. More details regarding the stock options granted to each of the above-mentioned Directors are available on the Company’s website at http://www.digi-communications.ro/en/see-file/DIGI-_-AGM-2018-_-Agenda-and-explanatory-notes-21-03-2018.pdf (the Agenda and Explanatory notes published by the Company on 21 March 2018, Annex I and Annex II). In accordance with the applicable regulations, on 18 May 2018, Mr. Serghei Bulgac, Mr. Valentin Popoviciu, Mr. Marius Vărzaru and Mr. Bogdan Ciobotaru, as persons discharging managerial responsibilities in connection with the Company, have notified the Company and the Romanian Financial Supervisory Authority in connection with the grant of the above-mentioned stock options and the execution between each of them and the Company of corresponding stock option agreements. For additional information, please contact us at ipo.relations@digi-communications.ro. BUCHAREST, Romania, 20-May-2018 — /EPR Financial News/ — The Company (Digi Communications NV) would like to inform the market and its investors that on 15 May 2018 Mr. Serghei Bulgac, Chief Executive Officer and Executive Director of the Company and Mr. Valentin Popoviciu, Executive Director of the Company, have exercised their stock options, which have vested in accordance with the provisions of the Company’s stock option plan and which were granted pursuant to the decision of the Company’s general meeting of shareholders dated 21 April 2017 and in relation to which the above mentioned persons and the Company have concluded stock option agreements on 14 May 2017. In accordance with this stock option plan, Mr. Serghei Bulgac was granted 220,000 shares, while Mr. Valentin Popoviciu was granted 60,000 shares. In accordance with the provisions of article 19 para. (1) of the Market Abuse Regulation, on 17 May 2018, Mr. Serghei Bulgac and Mr. Valentin Popoviciu, as persons discharging managerial responsibilities in connection with the Company, have notified the Company and the Romanian Financial Supervisory Authority in connection with the exercise of the stock options.